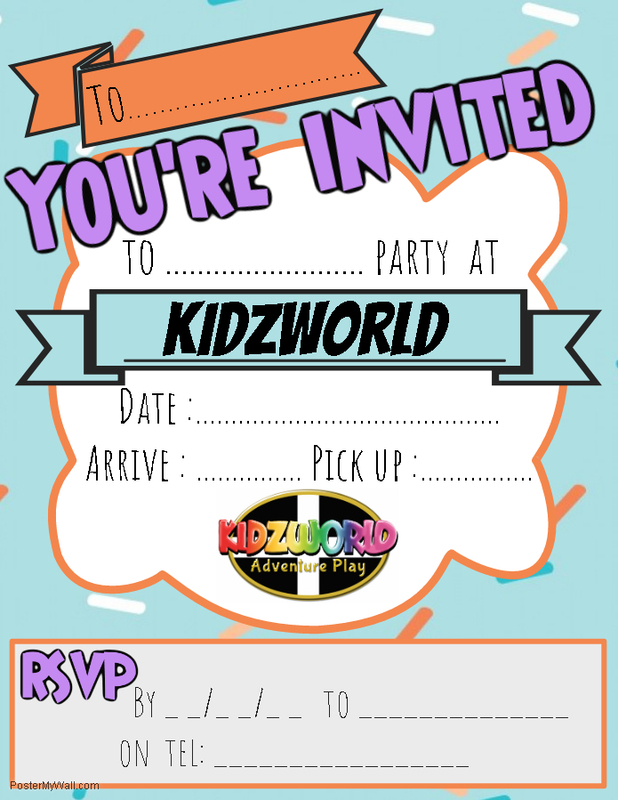 Entry into Kidzworld with unlimited play includes softplay, dodgems, mini golf & trampolines. Skytrail & Skating (weather permitting) is weekends & school holidays only. 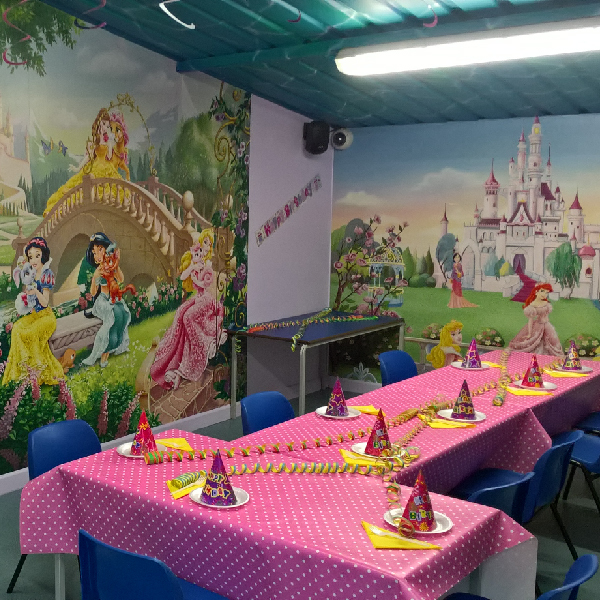 A private themed party room (for 1 hour) with party hats, table decorations & music. A delicious combo menu and unlimited squash. 1 party bag per child and a party gift for the birthday child including a RETURN pass worth over £30.00!! HOT: Beef-burgers, fries, cheesy pizza & firm favourites, chicken nuggets! COLD: Ham sandwiches, biscuit selection, chocolate fingers, veggie & bread sticks with dip, crisps & cheese savouries. DESSERT: Vanilla ice-cream with strawberry sauce & sprinkles. Sing & Dance your birthday away to everyone’s favourite party setting. Join all your favourite superheroes for a super party time. Join your favourite princesses for a birthday tea party to remember. 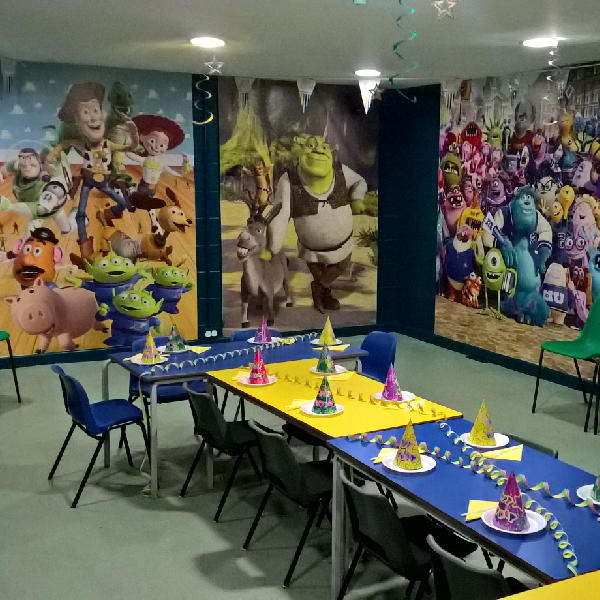 Don’t be a Minion, come & have a Monsters Inc. party with some of your favourite movie characters. (minimum of 8 children, bookings over 10 children receive 1 child free). * Please note roller skating & the Sky Trail are not open for term time weekday parties.